Bananatic Review: Scam or Paid To Play Games? Bananatic is an app and website that pays you to play games. This won’t be a huge income, but if you enjoy playing games on the computer or your phone this might be a great way to earn some extra cash! Playing games for cash won’t be for everyone, if it’s not for you, make sure to check out all of the Extra Income Sites That Pay Me. 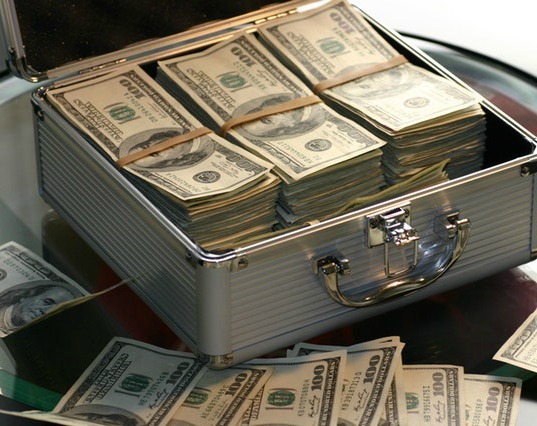 In no way will playing games online make you much money, if you’re looking to make a full-time income online, check out My #1 Recommendation, it’s how I made over $13,000 online last month! In this Bananatic review, we will take a look at the how you earn, how you can get paid, and see if it’s a scam or a legitimate way to get paid to play games. In this Bananatic Review, I marked them legitimate. I was very impressed with the number of ways to earn, ways to get paid, and the process of getting paid to play games works really well. You can either play games and earn when ads play, or they also have quests that you can complete to earn. Overall, it’s a really cool site that I’m excited to share with a lot of gamers. It won’t make you rich, but if you play games on your computer or phone this is an easy way to earn some extra cash! Bananatic has a lot of different ways to earn, not just getting paid to play games. I’ll cover them all below. The main way to earn at Bananatic is by playing games and completing Quests. At this time they have about 50 games that you can play to earn. Completing all the quest for a game usually earns you 900-2,500 bananas. Some games do require you to download the game, but there’re plenty of browser games, and you can filter quests by that if you don’t want to download a game. 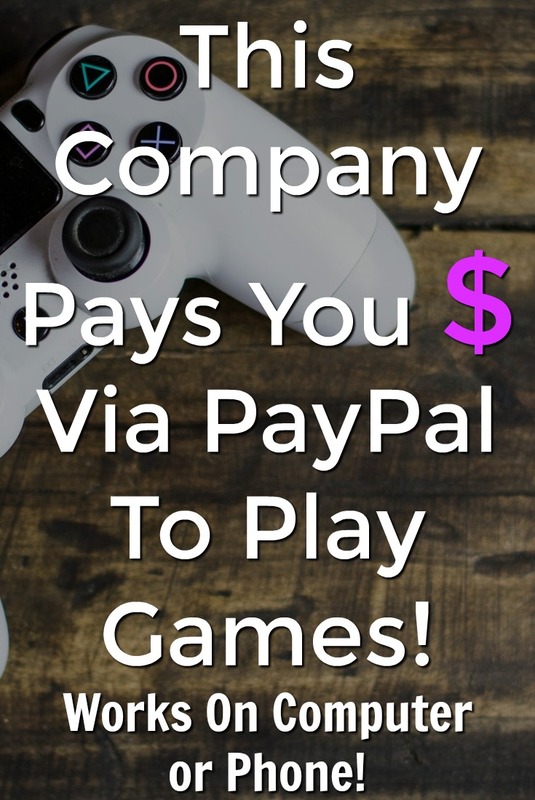 Surprisingly they will pay you to play quite a few very popular games that I’ve heard of before! 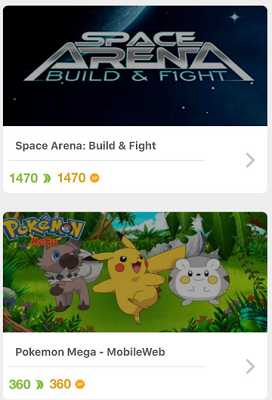 Once you find a game you’re interested in, click on it to see the quests. Most games have 4 quests, and the first one almost always is start the game and create an account/download if necessary. The next few tasks usually require you to reach certain levels of a game. Each time you complete a quest, you’ll earn bananas. 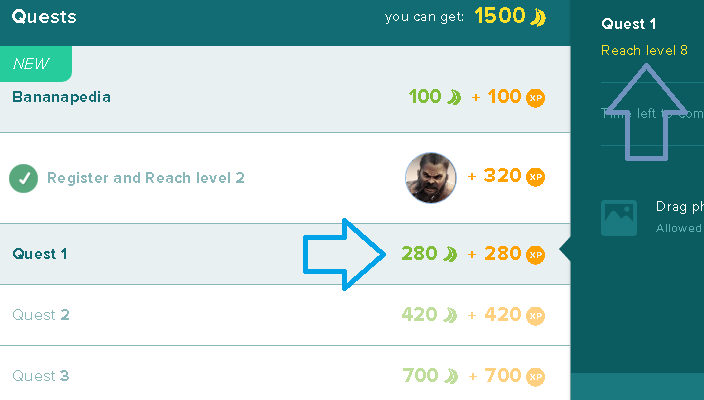 In the example below I earned 320 bananas just for signing up and will earn another 280 bananas for reaching level 8. Most of the time to prove that you reached a certain level you’ll be instructed to take a screenshot and upload it at Bananatic. It’s actually really easy, and they give you detailed instructions on what they’re looking for. Once you upload a screenshot, they’ll approve it, and then you’ll get paid for playing the game. In the Fun Zone you’ll find 100s of free games that you can play on your computer or through the app. You’ll earn bananas for watching the ads and earn bananas for doing well in the game. I played a game for about 10 minutes and was about to earn about 50 bananas. Bananatic does have an app that pays you to download other apps. Similar to quests, you’ll need to download the app and complete a task to earn. Most of the apps that just require a download pay 50 bananas and apps that require a task pay 500-2,500. This section is achievements that you can receive that earn you more. For example, referring 5 friends, rating a game, and finishing 5 quests are all achievements. This is basically “offers” from 3rd party providers. You’ll get paid to do things like take surveys, join sites, enter your email, and sign up for services. Most of these pay anywhere from 150-2,500 bananas. In this section, you’ll earn 50-100 bananas for liking, sharing, following Bananatic on Facebook, Twitter, Google Plus, and YouTube! When you visit the section, it tells you to contact them if you’re interested in using this portion of the site. I couldn’t find any information on it in the FAQs, but I’m assuming you’ll earn cash back on purchases at participating stores similar to Ebates. You can get paid to write or record videos on a portion of the site called Bananapedia. It looks like you can earn up to 300 bananas per article/video based on its popularity. They are looking for articles about specific games. It could be a guide or a review of the game. If you’re an experienced gamer, sharing your expertise can earn you cash! Bananatic does have a referral program so you can refer your friends and earn more. You’ll earn 10% of your referrals earnings for their first 300 days plus 25 bananas every time a new referral signs up! They also have a monthly referral contest. It looks like you’ll earn 5000, 2500, 1000 bananas if you finish in the top 3! Bananatic has two different ways you can spend your bananas. You can exchange them for guaranteed rewards such as gift cards, or you can purchase drawing entries. Gift cards start at $5 and cost 2,500 bananas. They have gift cards to Amazon, Steam, Best Buy, iTunes, Google Play, Facebook, PlayStation, Xbox, and Spotify. You can also cash out in-game currency for games like Fortnight and League of Legends. PayPal is an option, and it also starts at just $5. If you don’t want a guaranteed reward, you can enter a drawing with your bananas. Most drawings are for $5-$10 gift cards, and entries cost 300 bananas. Bananatic has tons of ways to get paid so you shouldn’t have any problem finding a reward that works for you! Below is a payment proof of a $5 Amazon gift card that I cashed out. Like an idiot, I accidentally cashed out an Amazon gift card for a different country, so the original Amazon code wouldn’t work. I contacted support and they were able to correct my mistake by sending me a US gift card code, which is great because it shows that the support team is good too! Obviously, this is just an extra income. In no way will playing games at Bananatic be a full-time income or make you rich. As long as you know this is just a small extra income you should be very happy with Bananatic. If you’re looking for a more significant online income, I recommend checking out How I Make A Passive Income Blogging. Bananatic is not a scam, and I was honestly pretty surprised there were so many ways to earn, how well the process of getting paid to play games worked, and that they had so many ways to get paid. 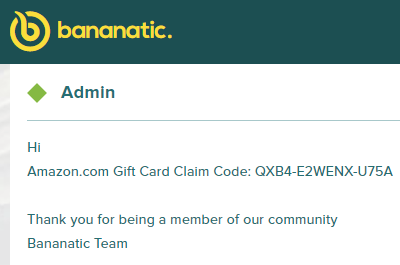 I don’t play many games, but if I did, I would 100% be using Bananatic to earn some extra cash. If you’d like to learn more or to join, visit Bananatic.com to get started for free! Do you have experience using Bananatic? I’d love to hear your thoughts on this review in the comments below!